Had a chance to go see the Oscar nominated Shorts today at Cinemark. They started with the live action shorts and finished with the animated. After the live action shorts, I was looking to see if the concession stands sold any Zoloft. To say that the live action shorts were a tad dark would be quite the underestimation. However, I found the animation shorts quite underwhelming. I found myself more engaged and emotionally moved by the live action ones. Sure, I may never want to watch any of these ever again and I was considering self-medicating…. (just joking)… but the animation did not move me much at all. Here are my choices in order from five to one. #5. Marguerite. It is also most likely the least tragic of the five, which, since it falls at the bottom on my list, may speak more for me than it does for the film. The story the older lady whose body is slowly falling apart and who is being taken care of by a nurse is a heart wrenching story. The final shot of the characters was very sad. #4. Fauve. This is the story of two boys who are out messing around when one of them causes the other one to get stuck in some kind of bog. It is unclear if it were quicksand or wet cement (this was my original thought), but the second half really picked up the tension. The beginning of the short confused me because I wasn’t sure if there was some kind of specialized setting going on with these two kids. They were pretty annoying at the short’s beginning as well before the stakes kicked in. Felix Grenier and Alexandre Perreault were the two actors and they were tremendous here. #3. Skin. This film starred Georgie from It, Jackson Robert Scott, as the son of a skin head who, along with a group of his fellow skinheads, attacked an African American because he smiled at his son. There were a couple of flaws that jumped out at me, which dropped this down the list. #2. Mother. The Spanish speaking short was the most controversial short of the five. Another friend of mine saw it too and hated it, but I think I loved it for the same reasons why he hated it. A mother gets a call from her six-year old son who has been left alone by his father on a beach somewhere in France (maybe?) and she desperately tries to save him before the child’s phone dies. 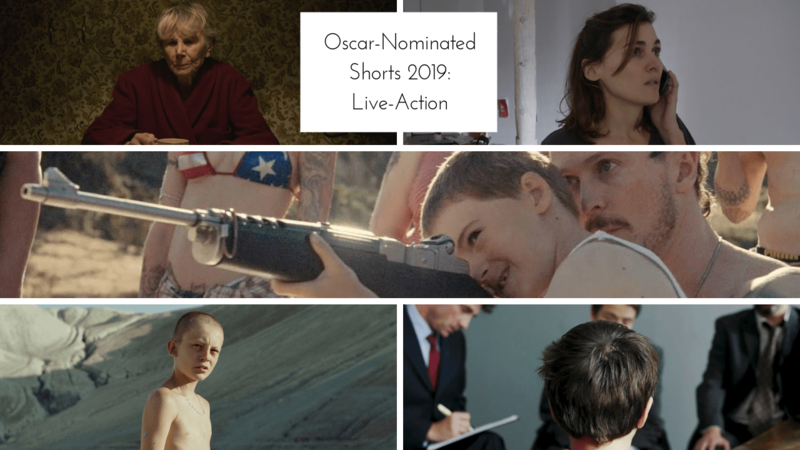 The anguish and building anxiety of what is going to happen to the boy was palatable through the short and Marta Nieto, who played the mother, was out of this world with her worry and slow descent into full fledged anxiety and panic. The ending twist is even more horrific, and the uncertainty, which is what upset my friend, really highlighted the situation. Although this could be divisive, the more I reflected on this short, the more exceptional I thought it was. #1. Detainment. This is a true story of two Irish boys who murdered the littler child, James Bulger, in 1993. These two young child actors, Ely Solan and Leon Hughes, were out of this world, one looking like a cold-blooded psychopath and one looking to be freaking out over everything but lying with each breath. The story was desperately compelling and tragic and revealed each bit of the film as it went. The shocking situation that occurred really did not have a reason and the film does not pretend to provide one. These children both looked to be monsters. Apparently the family of James Bulger was opposed to this short being filmed and are mad that it was nominated for an Oscar. Despite this, I think this was the best of the shorts that I saw. I think the controversy behind the family of James Bulger may keep this from winning. I do think it is the best of the shorts I saw today. 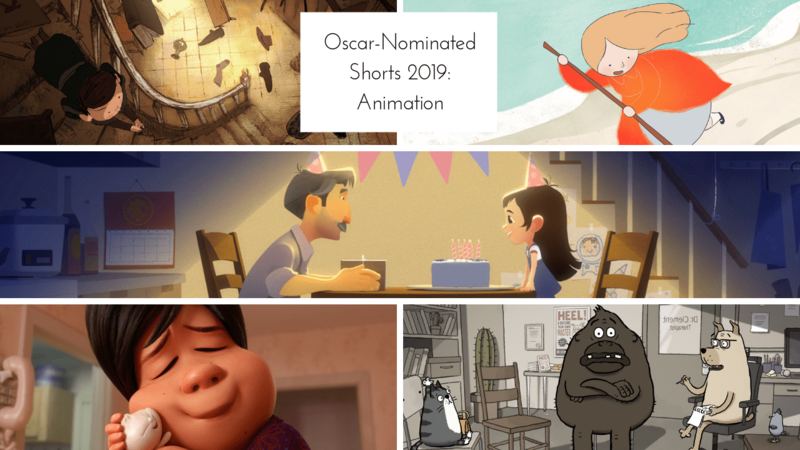 Animation was not my favorite group of shorts this year. I would not put any one of these five films ahead of the last of the live action shorts. #5. Weekends. I was bored during this film. I was even dozing off during it. Was not impressed at all. #4. Bao. The Pixar short that lead Incredibles 2 was not a personal favorite of mine. It was weird. The woman whose dumpling comes to live and she raises it as a child. Then to keep him from leaving, she eats him. Now I know why that happened, but it did not mean that I had to like it. #3. Late Afternoon. This is a story of an older woman who is flashing back to memories of her past and trying to remember them. This might have been my favorite animation of the five. It was beautifully drawn. It was also a pretty sad show as the short really deals with the senility of age. #2. One Small Step. I liked this short, the story of a young girl whose father is always there supporting her and fixing her shoes. She wanted to be an astronaut and we see the struggles she faces as she grows and ages. #1. Animal Behavior. This was the funniest of the shorts and was extremely clever as we saw a group of oddball animals together in a psychologist office having a support group. It was very funny and clever. The animation, however, was pretty average. Come on…it is Pixar. I don’t love it, but the Academy does.